Westfield London is vast. 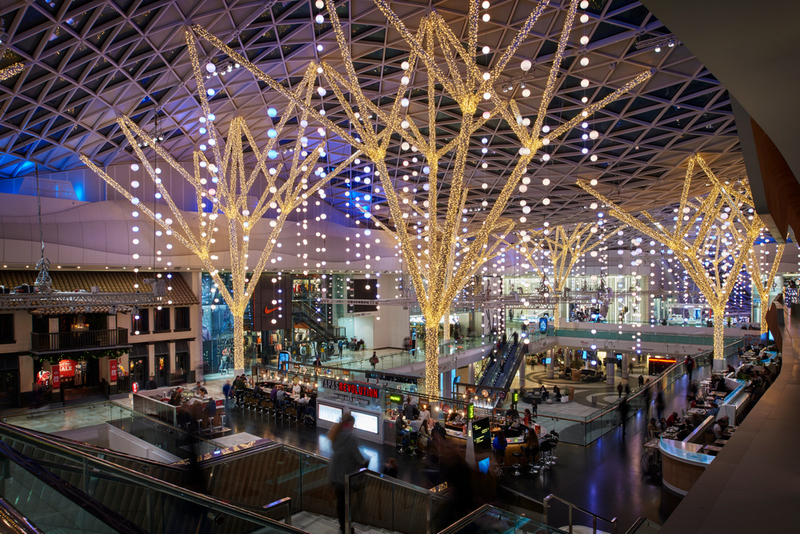 It boasts an area of 240,000 sq m (2.6m sq ft) and a retail floor area of 150,000 sq m (1.615 million sq ft), so when they were looking for someone to help them turn their existing festive lighting concept into an animated reality, it made sense for them to turn to MK Illumination, who offer a full-service approach when it comes to experience and atmosphere lighting. 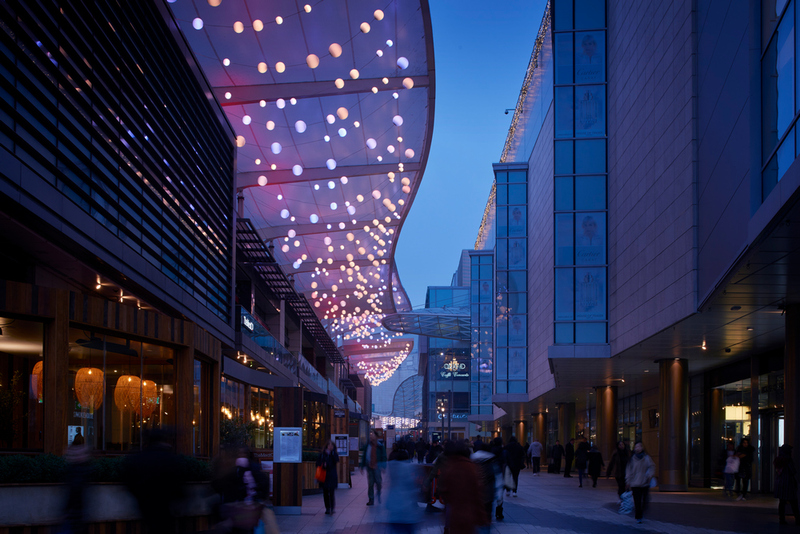 When the call came, they mobilized their teams of designers, technicians, engineers, and their European-based production facilities to produce and programme the animated chandeliers and the structural and façade lighting that was needed to give Westfield London its holiday atmosphere. 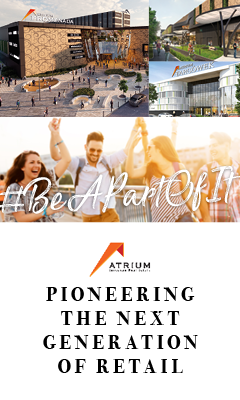 With the indoor concept only being finalized by Westfield London in mid-July, and with the turn-on planned for October 31, a global team came together to pool their resources to make sure that the products were not only produced to the highest quality but delivered in good time for onsite installation. “We needed to be as efficient as possible, so we spent a lot of time planning how we could pre-program lighting effects into the chandeliers and then pack them in a such a way that they wouldn’t break in transit and so that they would be ready to plug and play on arrival. This sounds like a given but needed a lot of thought. Fortunately, we’ve been doing this sort of thing for 22 years, but it was still impressive to see the planning, production, and packaging team at work,” said John P. Henninger, Key Account Manager at MK Illumination. 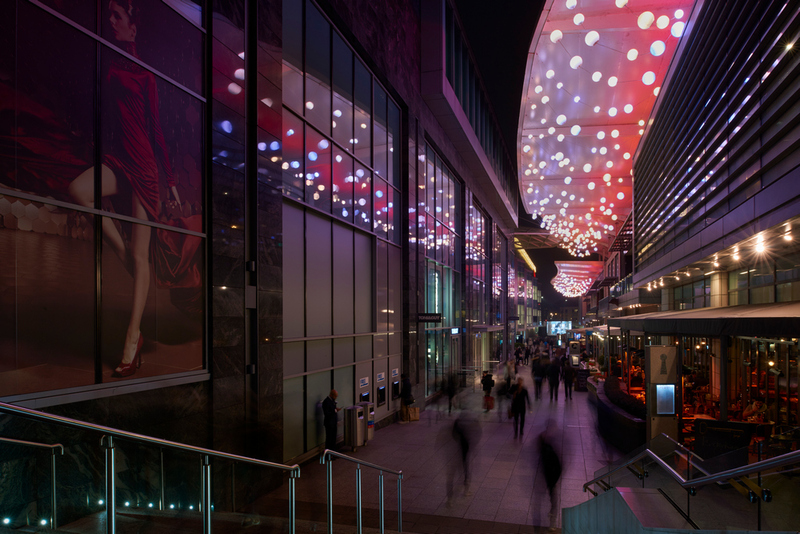 The end-result met all expectations and both center visitors and Westfield London were pleased with the atmosphere that the lighting created. 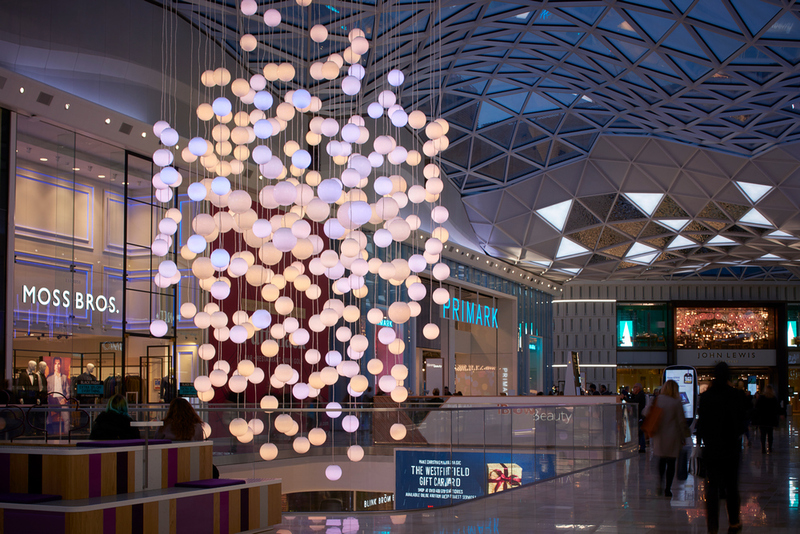 Read the full story, see more lighting insights and ideas, or get in touch with MK Illumination´s Retail Real Estate team directly for more information.